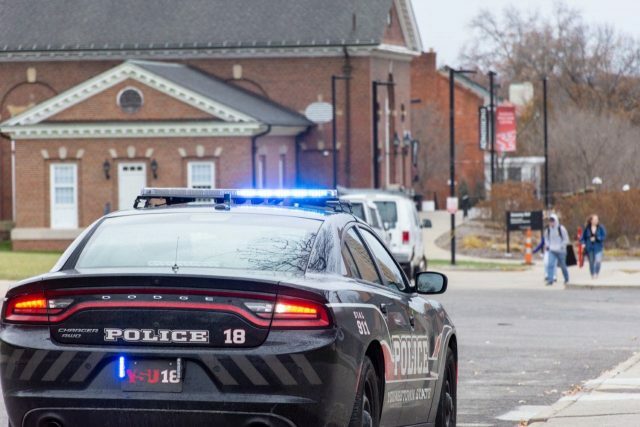 Youngstown State University was placed on lockdown at 11:32 a.m. Monday when the YSU Police Department received a call about a physical confrontation taking place at the university. The man who was allegedly at the center of the investigation has pleaded guilty to unrelated charges. 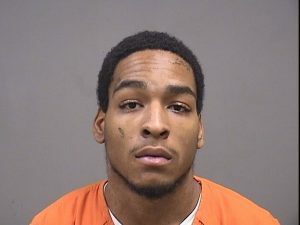 Robert Allen, 19, pleaded guilty to one charge of possession of drugs that occurred in April, and a warrant was issued in April when he failed to appear in court, according to a report by 21 WFMJ. The alleged suspect has not been charged in connection to the lockdown at the university or the altercation as of Wednesday. YSU Police Chief Shawn Varso said during a press briefing Monday that there is currently an active investigation occurring regarding the altercation on the second-floor of Kilcawley Center near the Information Desk. Varso said the alleged victim, a YSU student, immediately left the scene and called the police department. Allen, the alleged suspect, is not a student at the university. “As our officers arrived, which was about two minutes [after 11:07 a.m.], they were informed by the victim in this case that a subject had [revealed] a firearm during the confrontation,” Varso said. As of Wednesday, he said the department currently has “no physical evidence” of a firearm and there is no firearm in their custody. He said according to witnesses the department have talked to, the physical altercation was “a lot of yelling, pushing and shoving.” It is unclear what the confrontation was about at this time. “At that time we did not know where the suspect had gone to, the last place he had been seen was in the vicinity of the rec center,” Varso said. Varso said there was a buffer time in when the department received the information and when the alert was sent to the campus community because the department wanted to send out correct information. “We want to try to get as much information as possible … As soon as we get the information, we’re going to put it out as fast as possible. There is lag time in there, but in that lag time, you’re not seeing what’s happening behind the scenes,” he said. He said the victim did not cooperate with the officers at first and did not want to give information or a description. Varso said the only information the police had when YSU was placed on lockdown was that there was a gun involved in the situation. All officers were then dispatched to YSU and searched the area to locate the suspect. He said YSU also received response from the Youngstown Police Department, the Mahoning County Sheriff’s Department, Ohio State Highway Patrol and various task forces. Varso said the victim then gave the police department a description of the suspect, which was sent out to the campus community via a Penguin Alert. “The subject we are currently looking for is a black male, red hoodie with red and white lettering, dreadlocks and a black backpack,” the alert read. “The suspect was asked to come in to resolve the situation. 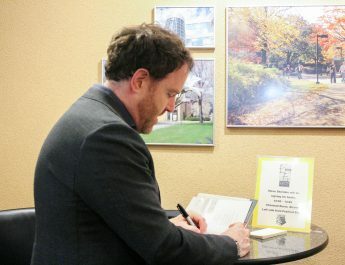 He voluntarily did come to our station,” he said. Varso added the suspect is currently being questioned at the station and the department is still in the process of gathering witnesses, video information and statements from the victim. Through the video currently in the department’s possession, Varso said there were a large number of people present during the altercation. 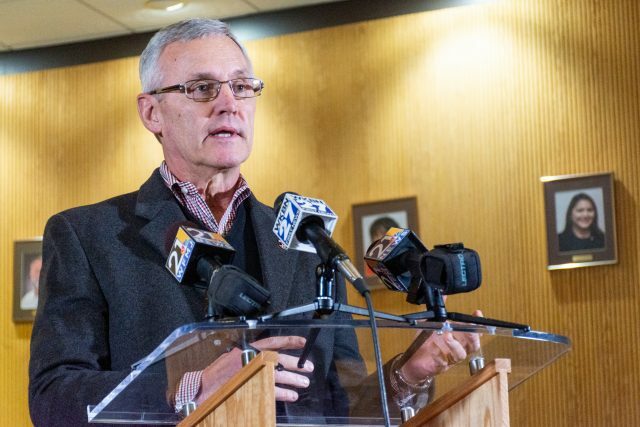 YSU President Jim Tressel thanked Varso and the YSU Police Department for their response to the situation, and stressed the importance of Penguin Alerts to enhance the safety of campus. 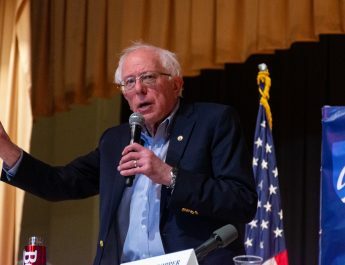 “I think our people did a great job of responding to a situation that you hope never arises, but you have to assume can arise,” he said. 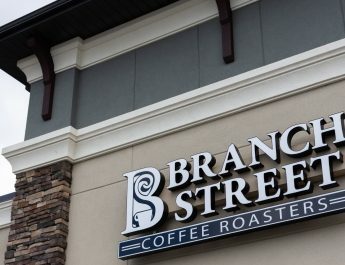 “It is one of those days that you don’t wake up and think are going to happen, but what I can tell you is that I’m unbelievably proud of our police department and our faculty on this campus that the first thing that came to their mind was the safety of our students and the safety of our campus,” Shannon Tirone, associate vice president of University Relations, said. This is a breaking news story, and as The Jambar receives more information, the story will be updated. Updated: 12/5/2018 at 8:27 p.m.
Well done Rachel! Thank you!